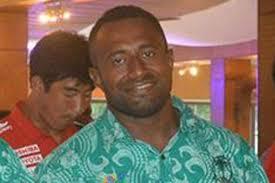 Telecom Fiji Warriors tight head prop Iosefo Bele Tabalala passed away on Saturday morning at the Southern Cross hotel in Suva. The Fiji Rugby Union has released a statement saying 32-year-old Iosefo failed to wake up on Saturday morning at the Fiji Warriors Hotel camp in Southern Cross, Suva. According to the statement, Iosefo’s roommate and the medical team tried all efforts to revive him while waiting for emergency services. He was rushed to the CWM Hospital but all attempts to revive him failed. To the TABALALA family, please accept our heartfelt condolences, words cannot begin to express the sadness you are feeling right now, but we are here for you and we are praying for you all to get through this. God bless you all and may the soul of Iosefo rest in the everlasting peace of Christ Almighty.